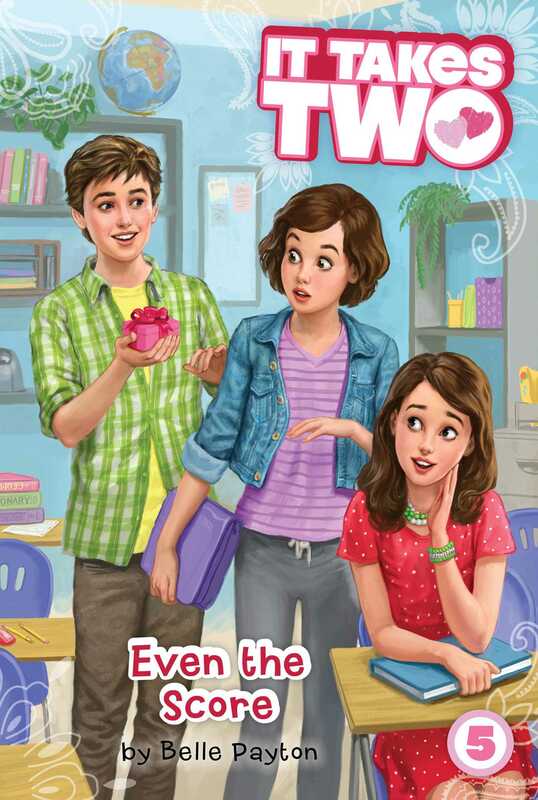 Alex makes an unpopular decision and Ava deals with an unwanted crush in the fifth book of the It Takes Two series! Sporty, shy Ava is finally starting to feel like the guys on the Ashland Middle School football team are accepting her as a player, despite the fact that she’s a girl. But then the star wide receiver, Owen, keeps missing his passes, and his teammates are blaming it on a crush—on Ava! When he awkwardly gives Ava a gift that’s way too expensive, she realizes they’re right. Can she find a way to let Owen down easy and still stay on the team’s good side? Meanwhile, class president Alex has to choose how to spend some student council funds. The football team is scheduled to get a new scoreboard, but the drama department desperately needs new sets and costumes. Alex decides it’s fair to give some money to the arts for a change, but the football fans of Ashland don’t necessarily think so…and it may take a natural disaster for Alex to prove she’s not a football-hater!